This painting falls under the category of modern art or contemporary art. 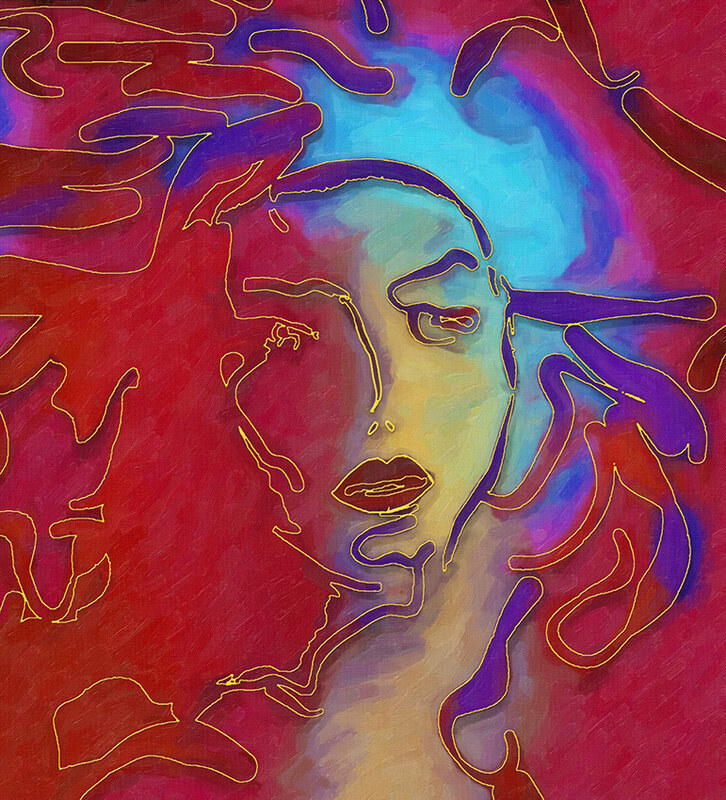 This modern art painting titled "Lady in Red" is a departure from my fantasy realism paintings, for which I'm known for. The colors are rich and elegant. This piece of modern art can add a bold statement to any room.